Presenting the house, lot & prime Golden location you've been dreaming about! 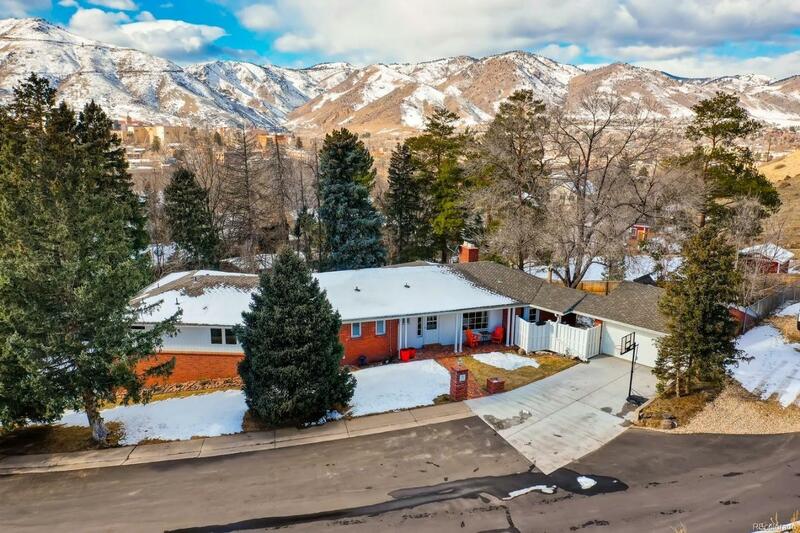 Situated at the base of South Table Mtn, just steps away from renowned hiking trail-heads, this home has all the amenities of a newer home while keeping the original charm. The fully updated kitchen features high-end stainless appliances, granite counters & remarkable views from the flooding sunlight through the abundant windows. The main level also has a master suite with an extensive bathroom & a true walk-in closet, 2 additional bedrooms, a cozy family room with gorgeous wood, & a dedicated laundry room (could be a study). The walk-out bsmt has 2 sizable bedrooms, a family room full of floor-to-ceiling windows, ample storage, & a huge, partially finished area with a walk-out that could be a guest suite or media room (with rough-in). Entertain in the vast backyard surrounded by mature trees - this large amount of private space is exceptionally hard to find in Golden proper. Dream location & home!